Celebrating 15 years since the foundation of Nitroplus! 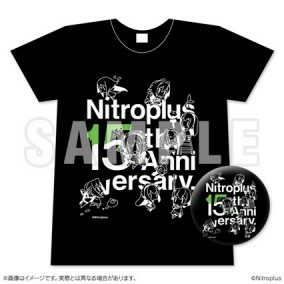 The "Nitroplus" 15th Anniversary t-shirt is finally here! Printed with original illustrations by "minoa" of various heroines that appear in Nitroplus works, for a design that says "Nitroplus" like no other.